I began this afghan on New Year's Day 2018 and finished it just before St. Patrick's Day 2018. Originally I expected it to take me a couple of years but I surprised myself by becoming very enthusiastic about it. 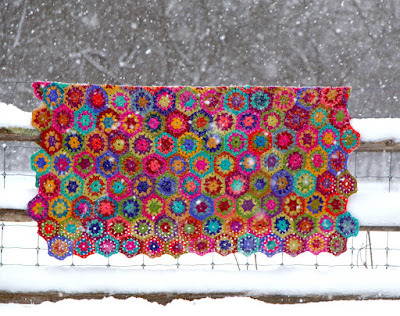 We had a long, cold, snowy winter and making the hexies brightened up every evening. It didn't hurt that the Winter Olympics intervened and they offered lots of television time. I made extra hexagons and I will probably keep making them and make a second afghan. They are a perfect project to tote along places and make in downtime. Each little hexagon is a study in color. Once you start, it is difficult to stop. YARN: Use worsted weight yarn and a size H (5.0 mm) crochet needle. I used my Classic Elite Yarns Color By Kristin/Nashua Handknits Julia yarn - 50% Wool, 25% Alpaca, 25% Mohair. 93 yards for 50 grams. Each of my hexagons weighs approximately 6 grams. Each measures 4 1/4" (10.75 cm) side to side and 4 3/4" (12 cm) tip to tip. You will need approximately 210 hexagons. I suggest making at least 250 hexagons so that you will have alternate color choices to choose from. 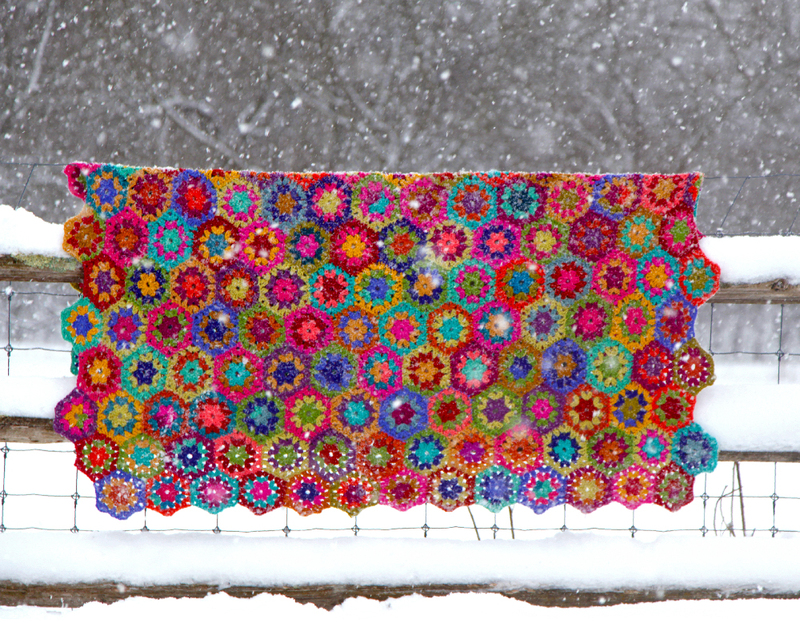 My afghan is 14 hexies long by 15 hexies wide. It measures 53" x 58". I find this to be a good size for using as a blanket on a couch. It is big enough to take a nap under. Of course, you can make yours larger by adding more hexagons. 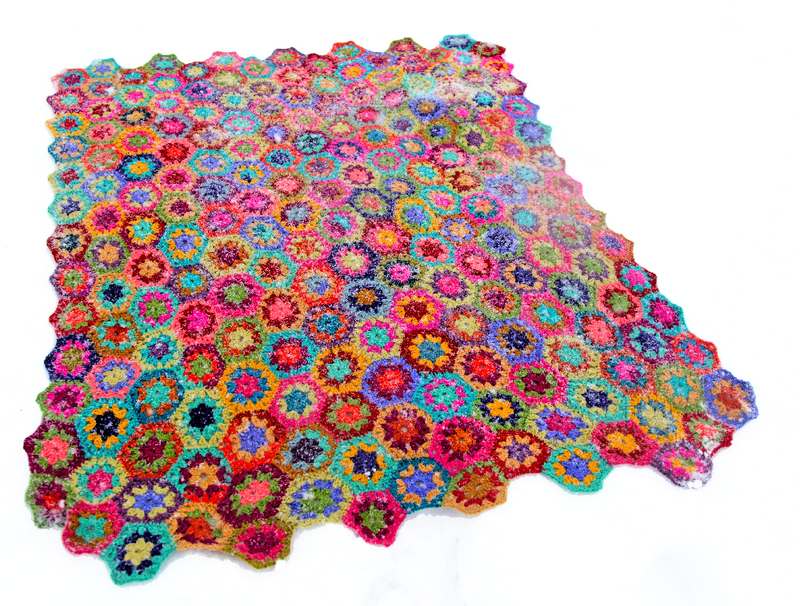 The finished afghan is 1260 grams. You will need approximately 1400 grams for the afghan because you lose bits in seaming and weaving in ends. 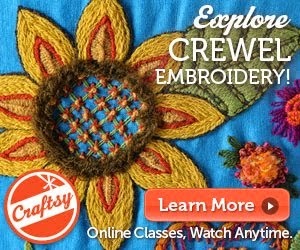 Make several extra hexagons in different color variations so that when sewing together you will have extra pieces to play with. 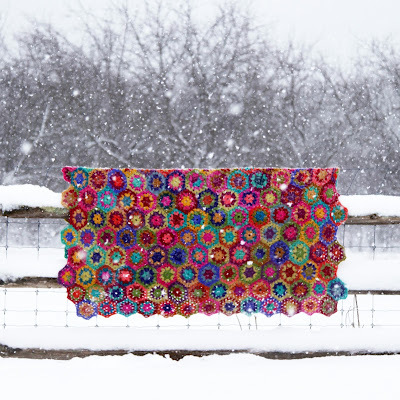 They can be the start to a second afghan. NOTE: Depending on my mood (uptight and frazzled or happy and relaxed) my hexies turned out different sizes. It doesn't matter much because they even out when sewing together. To Begin: With Color 1, chain 6. Work slip st to join in a circle. join with a slip st to complete round. Break yarn leaving a 6" tail. You will have 6 spaces created by the chain 1 between each set of 3 double crochets. This space is where the pattern will build out. join round with a slip stitch to complete round. Break yarn leaving a 6" tail. The piece will begin looking like a hexagon. 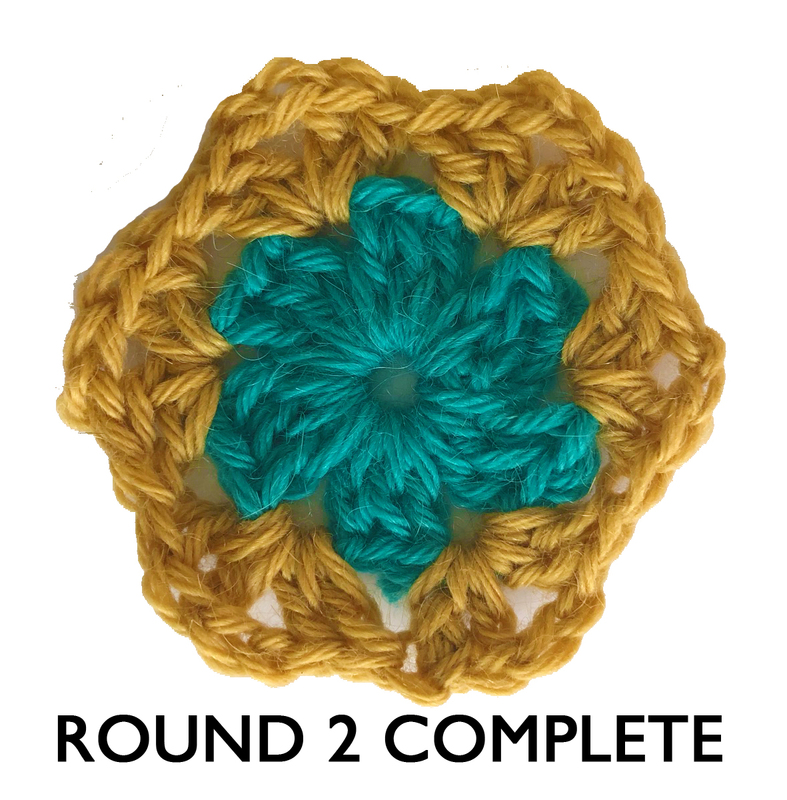 Round 3: With Color 3, join yarn in one of the open 2 chain spaces. 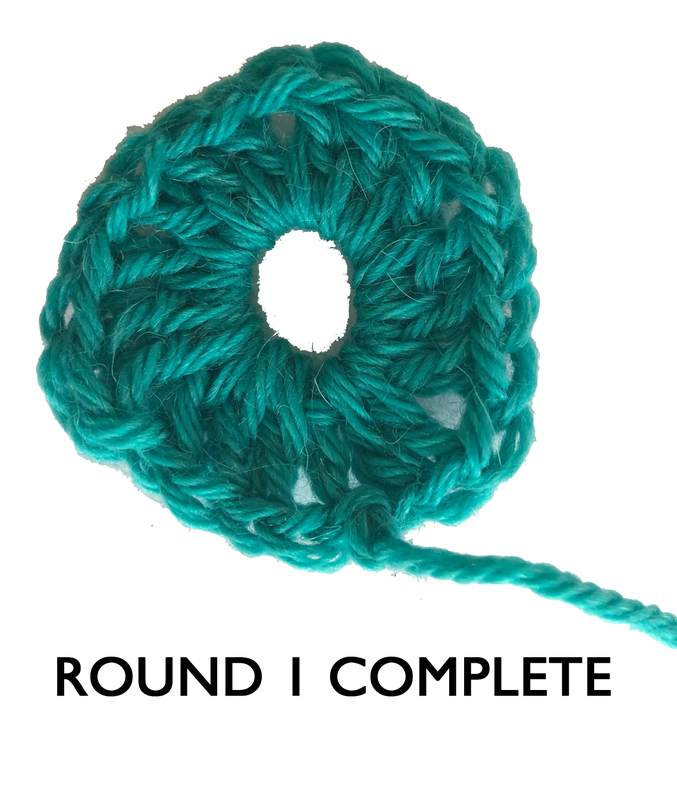 join round with a slip stitch to complete round. Break yarn leaving 6" tail. My hexagons are 3 rounds. 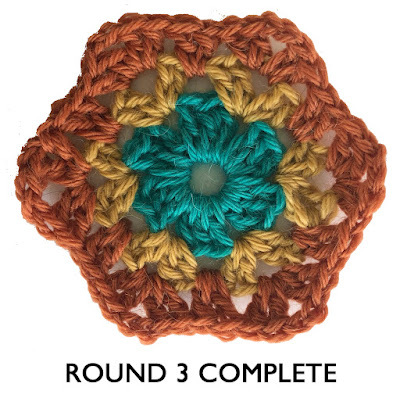 Use this same pattern and keep adding rounds of crochet to enlarge the hexagons to your desired size. Each "corner" will be worked the same but there will have more "2 double crochets" between each corner as the hexagon grows larger. You'll get it once you begin working - trust me. Finishing: I chose to sew my hexies together using whipstitch. I like to sew and found it relaxing piecing it all together. Here is a link to a short video on Instagram showing me steaming the individual pieces before seaming them together. You can read about my steamer here. Here is a longer video discussing how to put together different colors and how to seam the pieces together. For seaming, I use a simple whipstitch and sew with a large eyed blunt point tapestry needle. 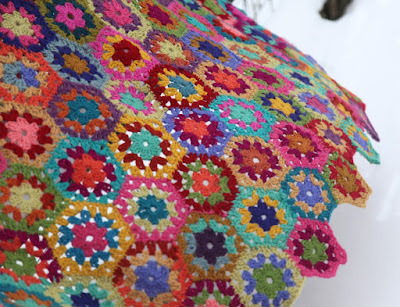 If you prefer, you can join the hexies together with single crochet. It is up to you and your preference. 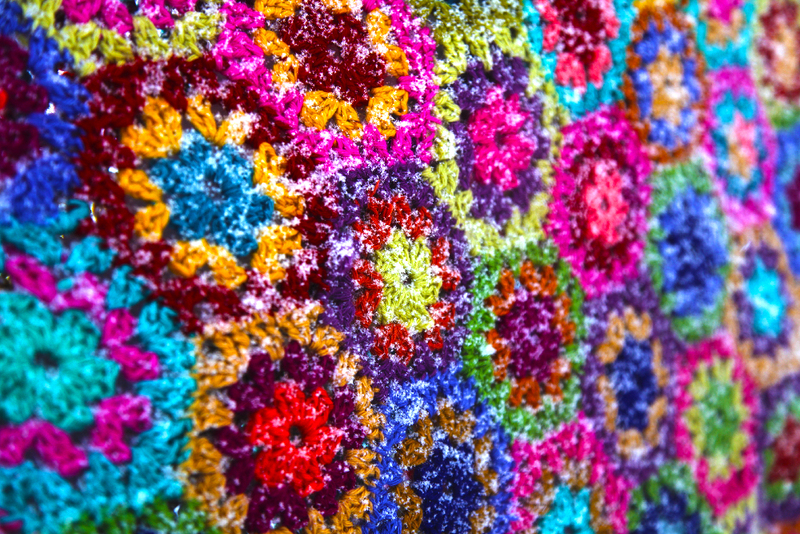 Optional edging: If you desire, work a row of single crochet around the entire edge of the afghan using different colors of yarn. This will make the edging stronger. Thank you so much for sharing your pattern and your progress creating your beautiful Hexi Blanket. What a wonderful project! 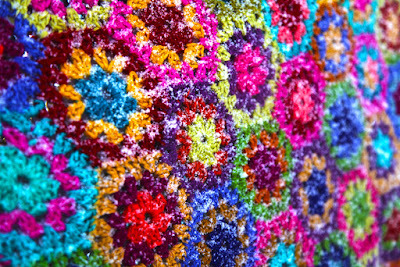 I think I would be able to recognize it as yours just from the colors. Thanks for the pattern, too! I love your blanket! I collected Julia and Colors by Kristin for years, and knit the blanket in your last book and my son has appropriated it for his own special use. 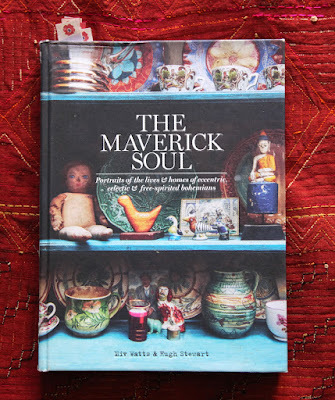 I'm off to see whether I have enough yarn left to try this one. Your eye for color is exceptional, and I just don't get the same feeling with some of the big name brands. You spoiled me! Ohhhh, is that ever gorgeous! Your hexie afghan has two elements that I appreciate - colors and interesting shapes. Your last picture looks like a magic carpet. I wish you could hop on and go where ever you desire. Thanks for your generous inclusion of the pattern and excellent instructions. Looks so good on that snowy day. Thanks for the instructions. Although I knit a lot, I don’t crochet much so think this will be a fun project.